SOLID NO RUST CHEVROLET COUPE ! RUNS & DRIVES EXCELLENT ! SLICK BLACK PAINT WITH UPGRADED CLOTH INTERIOR ! DELUX MODEL WITH EXTRA CHROME / WIDE WHITES / SUNSHIELD AND MORE ! HARD TO FIND THIS NICE ANYWHERE IN THIS PRICE RANGE ! FUN TO DRIVE CLASSIC COUPE !! 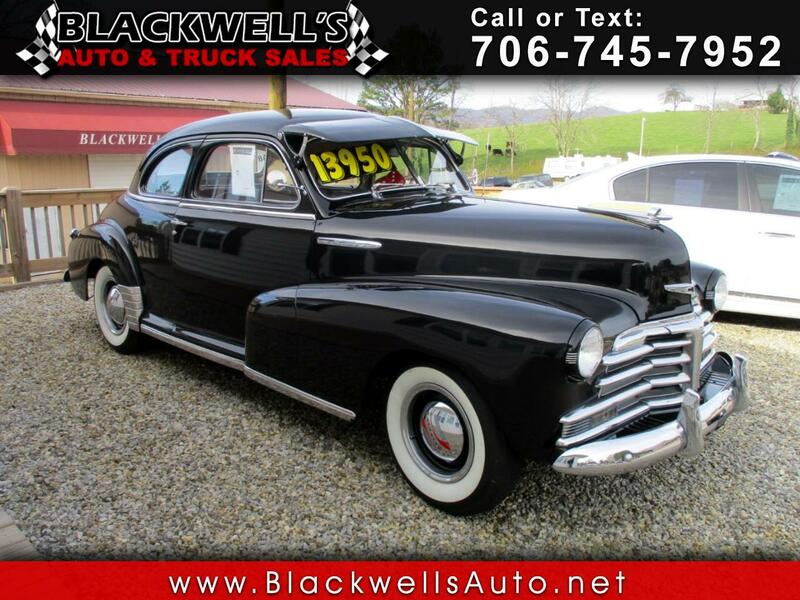 Message: Thought you might be interested in this 1948 Chevrolet Classic.